The integration of Jewish and general studies has been identified as a common goal of many Jewish day schools, particularly those in the Modern Orthodox and non-Orthodox movements (Pomson, 1996; Solomon, 1984). Yet, researchers of Modern Orthodox, Conservative, and Reform Jewish education have all indicated that integration efforts in the day schools affiliated with these movements have generally been a source of disappointment (Bieler, 1986; Lukinsky, 1978; Zeldin, 1992). Pomson claims that the failure of integration programs often relates to the complexity of the subject matter, the backgrounds of the teachers, the perspectives of the students, and/or the prevailing values of the community. We will return later to consider these assertions. However, before analyzing factors that hinder integration, it would be worthwhile to examine the basic assumptions of curriculum integration and the goals of integration in the day school. 1) Curriculum integration fosters the ongoing reinforcement of skills and information learned in one area of study when utilized in another area. 2) Curriculum integration provides students a richer academic experience by broadening the context and applicability of information and skills that are learned. 3) Curriculum integration maximizes the utilization of learning time by “borrowing” from one area to support another. 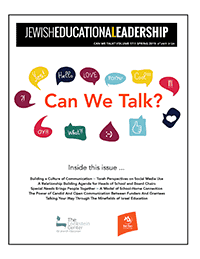 This is particularly important in Jewish day schools where educators face time pressures in all curricular areas. On an ideological level, curriculum integration helps to create holistic students who are able to see the relevance of their Judaism in all areas of their lives. This prevents compartmentalization in which students separate between the religious and secular aspects of their lives. Such separation can lead to competition between the two worlds, with the Jewish component often losing out. As such, integration represents a way of thinking rather than simply an overlapping of curriculum. Perkins and Salomon (1984) utilize the term “transfer” to describe this way of thinking. They distinguish between “learning” and “transfer”. “Learning” is characterized by the ability of the student to demonstrate performance in a context that is more or less the same as the learning situation. “Transfer” takes place when the student is able to apply knowledge acquired to different situations. A classical example of learning without transfer is often seen in Hebrew language instruction. Parents often wonder how their children could have received good grades in Hebrew language for 12 years and still be unable to function in a Hebrew-speaking society. In all likelihood, the children’s instruction and assessment remained within the context of the classroom. As a result, they are unable to transfer their knowledge of Hebrew to other contexts. 2) If an apple costs 8 cents, how much would it cost to buy 6 apples ? 3) How far would a car travelling 60 miles per hour travel in 8 hours ? The child who can only answer the first question has learned the material, but has not demonstrated transfer. The student who is able to answer the second question demonstrates a certain level of transfer. Mastery of the third question reflects an even greater degree of transfer. As this example illustrates, the levels of transfer achieved in given learning situations can vary. Perkins and Saloman (1984) have identified two typologies of transfer, “low road transfer” and “high road transfer”. Low road transfer involves spontaneous, automatic transfer of highly practiced skills with little need for reflective thinking. High road transfer involves an explicit formulation of abstraction in one situation that enables making a connection to another context. These authors make a further distinction in high road transfer between “forward reaching transfer” and “backward reaching transfer”. In forward reaching transfer, abstractions are formulated in the initial learning that allows for future application. In backward reaching transfer, students formulate an abstraction guiding their reaching back to past experience for relevant connections. Can Integration Be Taught ? According to Perkins and Salomon (1984), teachers can foster or hinder transfer in their instruction. A focus on content oriented questions and analysis tends to thwart the process of transfer. Transfer, however, can be encouraged through processes that the authors (1988) refer to as “hugging” and “bridging”. Hugging is a method of fostering low road transfer. In hugging, teachers present material in a manner that creates resemblance conditions leading to a similarity of context. Thus, if teachers wants students to transfer concepts learned in biology to ecology, they will frame the ecology lesson in a way that accents the contextual similarity. Bridging is a technique that encourages high road transfer. In bridging, the teacher mediates the desired processes of abstraction and connection making. For example, a social studies teacher might ask students what factors provoked World War I and where such factors are now operating in the world. Perkins and Salomon (1988) contend that these methods can do much to foster transfer in the instructional setting when used persistently and systematically. Is Interdisciplinary Integration Desirable ? To use the word interdisciplinary, one must show that particular disciplines have been mastered and appropriately joined. Such interdisciplinary synthesis is simply not feasible for most youngsters during the middle years of childhood, or for most of their teachers. 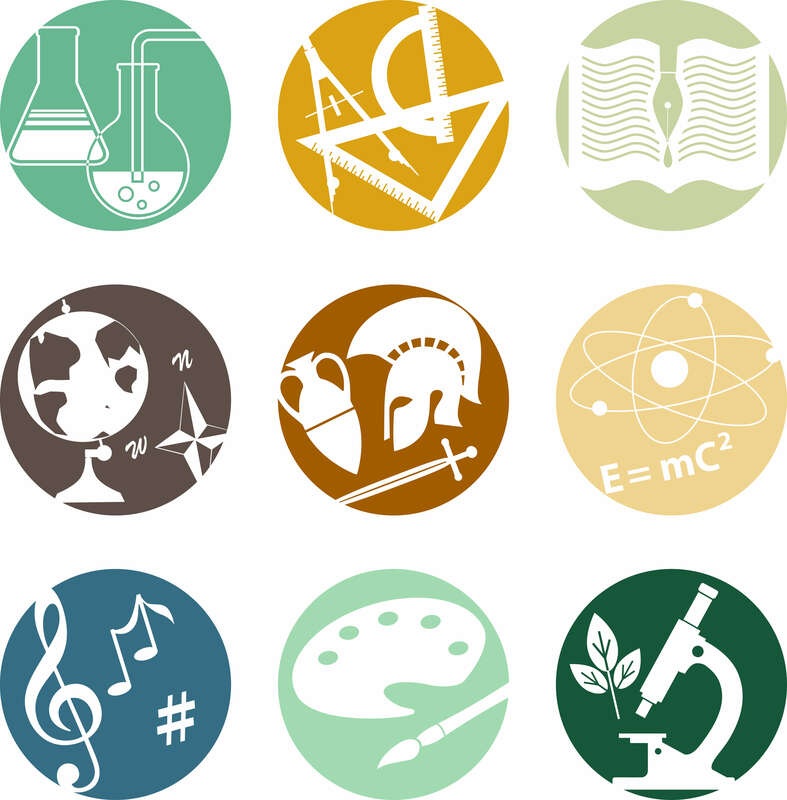 Rather, I see most so-called interdisciplinary curricula as commonsense or proto-disciplinary activities. Instead of drawing on or preparing disciplined thinking, these approaches tend to ignore the pre- or proto-disciplinary distinctions that young children are becoming able to master. 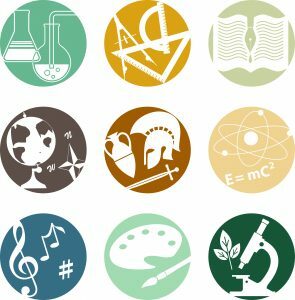 While Gardner does not negate that “interdisciplinary” curricula may have some other value, he does assert that, at least prior to high school, they do not promote interdisciplinary thinking, and may in fact ultimately hamper such thinking by weakening mastery of specific disciplines. Gardner states a further reservation regarding the inability of many teachers to actually facilitate interdisciplinary study. These comments might be construed to support the compartmentalized approach reflected at Yeshiva University and many day schools. They could also be used to support the use of student based integration models that fall into Fogarty’s third category, “integration within and across learners”. Yet, Bieler suggests that integrating Jewish and general studies may have another important goal. He quotes Heilman’s assertion that compartmentalization often entails not only separation, but also devaluation of at least one of the elements being kept apart from the other (Heilman, 1978). If so, then departmentalization in the day school will often lead to the devaluation of either the Jewish studies component or the general studies component, undermining the goal of creating students with integrated world views who can live holistically as Jews in the modern world. On the contrary, Bieler claims that such departmentalization creates a dissonance for learners that may lead to an active or passive disregard of one of the two worlds in which the school wants them to live. Thus, schools that wish to foster integrated world views must seek ways of overcoming compartmentalization within the given limitations. It stands to reason that schools wishing to effect integration must be sensitive to the educational issues discussed above, as well as the obstacles to successful implementation. The following are potential impediments to interdisciplinary integration that must be considered. 1) Teachers – As indicated by Gardner, not all teachers are capable of true interdisciplinary integration. If that is so in general studies, then it poses an even greater challenge in the integration of Jewish and general studies. Many instructors in the Jewish studies department do not possess expertise, or even a high level of familiarity, in areas of general studies. Conversely, general studies teachers, some of whom are not Jewish, are often not versed in the Jewish studies content and methodology. 2) Coordination – The lack of teachers within the day schools who have interdisciplinary scope would require a team reaching approach for interdisciplinary instruction. The success of such an effort would depend upon the motivation and commitment of participating teachers, as well as the availability of adequate planning time to allow for the development of meaningful integrated instruction. 3) Complexity – As Bieler (1986) has pointed out, the complex integration constructs that have been developed by philosophers such as Harav Yosef Dov Soloveitchik and Harav Aharon Lichtenstein are difficult to translate into the curricula of Diaspora day schools because of both the complexity of the material and the inability of most students to function within such a system. 1) Integration does not have to be interdisciplinary. The first step toward integration is to foster integrated thinking with each discipline. Teachers of both Jewish and general studies must foster low road and high road transfer rather than simple learning within their instruction. Such fostering represents a pedagogical skill that can be developed through proper in-service training. 2) Teachers who are capable of drawing on information from other disciplines should be encouraged to do so when appropriate, but not at the expense of the mastery of their own discipline. For example, a teacher of Torah who is covering Shemot 1:10-22 might wish to have students analyze events in Nazi Germany in light of the different approaches of the commentators on this section and the different analyses of the Nazi program by historians. The goal of teaching Torah, however, must not necessarily be to seek their relevance to modern events, but rather to master textual analyses and study of the commentators. Connections should be made only when they represent a high road transfer. 3) Interdisciplinary integration can be fostered, as well, without interdisciplinary instruction. Such integration involves the process defined by Fogarty as integration within and across learners. An example of this process would be a project that calls on the student to draw on a variety of disciplines in order to complete the work. This approach is appropriate to Gardner’s model in which mastery of disciplines is conducted in parallel and the student makes the connection between them. The difference between this model and the Yeshiva University model is that the process of integration is mediated by the teachers, although not through instruction per se. 4)Meaningful interdisciplinary instruction can take place when motivated teachers are given enough planning time to successfully create integrated units. A school can present its students with models of integrated thinking through periodic presentation of integrated units. Such a model does not have to encompass all subjects or be used by all of the staff. Jacobs (1991) proposes a phased action plan for implementing curriculum integration in a school. An important element of her plan involves the creation of a dynamic within the staff through cooperative “action research” activities. By defining goals well and providing appropriate in-service and cooperative planning activities for faculty members, our schools can indeed succeed in the elusive goal of curriculum integration. Beiler, Jack. “Integration of Jewish and General Studies in the Modern Orthodox Day School”, Jewish Education 54:4, 1986. Brandt, Ron. “On Interdisciplinary Curriculum: A Conversation with Heidi Hayes Jacobs”, Educational Leadership 49:2, 1991. Brophy, J. and Alleman, J. “A Caveat: Curriculum Integration Isn’t Always a Good Idea”, Educational Leadership 49:2, 1991. Fogarty, Robin. “Ten Ways to Integrate Curriculum”, Educational Leadership 49:2, 1991. Gardner, Howard. The Disciplined Mind, Simon and Schuster, New York, 1999. Heilman, Samuel. “Constructing Orthodoxy”, Society, May-June 1978. Jacobs, H.H. “Planning for Curriculum Integration”, Educational Leadership 49:2, 1991. Lukinsky, Joseph. “Integrated Jewish and General Studies in the Day School: Philosophy and Scope”, in Integrative Learning, The Search for Unity in the Jewish Day School, ed. Max Nadel, American Association for Jewish Education, 1978. Perkins, D.N. and Salomon, G. “Teaching for Transfer”, Educational Leadership 46:1, 1988. Pomson, Alex. “Knowledge that Doesn’t Just Sit There: Considering a Reconception of the Curriculum Integration of Jewish and General Studies”, Religious Education 96:4, 2001. Salomon, G. and Perkins, D.N. “Rocky Road to Transfer: Rethinking Mechanisms of a Neglected Phenomenon”, Educational Psychologist 24:2, 1989. Zeldin, Michael. “To See the World as Whole”, Jewish Education News 13:3, 1992.